Directly responsible for the Facilities management of services, operation and business processes which involves both strategic planning and day-to-day operations for Manufacturing and Non-Manufacturing departments. Plan, coordinate, organize and lead the campus site services operation of Facilities systems to ensure that the systems are in compliance to all internal and external regulatory requirements. Accountable to ensure all operations of the site services meet the company's objectives and goals at all times and strive to enhance the capabilities of performance while focusing on improving operational efficiency while optimizing cost. 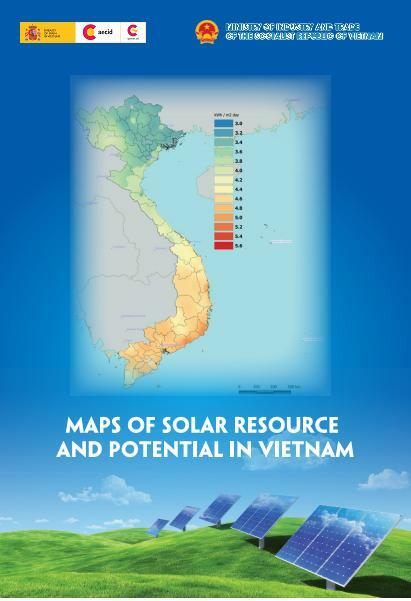 Ensures that his/her team performs in accordance with First Solar's Core Values and within the fully compliant legal scope of Vietnamese Law. Accountable to ensure all operations under his/her area of responsibility are operating as per the local regulatory & company requirements/goals and oversee the related documentations & procedures are in place and implemented. Lead team of associates to meet throughput, plan and manage/optimize cost to meet company set goals. This includes leading team to practice total compliance of established programs and procedures. Manage "capital process improvement" projects through design, construction & commissioning phases and control project costs & schedules at or below budget. Be the role model and set direction/expectations for the entire team. Provide coaching and guidance to the team on complicated technical issues. Expected to maintain good professional relationship with government officials, regulators, vendors, customers, local community members and full commitment to promote good image of First Solar. Plan and manage all aspects of facilities and grounds maintenance repairs for the First Solar campus and manufacturing/office facilities to ensure a world class operation. Responsible for ensuring maximum uptime of facility systems to minimize production downtime and facility system outages. Establish metric's to track utility consumption, maintenance and repair cost and encourage cost reduction ideas and improved facility operation efficiency. Ensure all life safety systems, state inspections, risk management observations and corporate facility maintenance objectives are met and accurately reported. Responsible to manage electrical work, administration and safety management for the site. Responsible in managing the company's expansion and improvement activities by participating in the design reviews, ensuring the construction is in accordance to the agreed design and completed in the timely manner. Responsible in managing insurance claim process for the company by preparing the relevant documentations and reports, and alignment with respective stakeholders until process completion. Manage the plant civil and structure system in order to endure optimum standard. Manage the facilities work order process to ensure quick and efficient responses to customer requests and inquiries. Responsible in managing building maintenance, housekeeping, landscaping outsourced activities. Manage café services and ensure high quality, cost efficient services. Responsible in managing the performance of contractors engaged by the department are meeting or exceed the specified contractual obligation and adhere to all Company Safety Procedures. Responsible for adherence to all safety procedures and good housekeeping standards. Bachelor's degree in an engineering discipline or the equivalent experience preferred. 5 to 10 years of facilities manager experience in a similar role, facility size and responsibility preferred. Will sit and stand for long periods during the day. Required to use hands to lift, handle, carry or feel objects. May be required to wear a respirator at any given time and thus, the ability to wear a respirator is a condition of employment and continued employment.